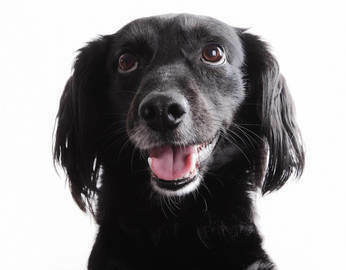 As pet owners develop ever stronger bonds with their four-legged pals, it becomes increasingly difficult to leave them behind, especially when going on a vacation. Commonly, when unable to include them in their travel plans, they will leave their pets in the care of a reliable family member, friend or neighbor instead of using a pet boarding service. However, a survey by DogVacay found that "72% of pet owners who travel without their pets worry about them during the trip." At the same time, traveling with pets is also not easy. It requires additional preparation and planning to ensure our furry pals are safe and comfortable throughout the trip. If you are planning to take your cat or dog on your next vacation, it will help to read the following safety tips first. To ensure that your pet is ready for the upcoming trip, visit your vet to make sure that your cat or dog is safe and fit to travel. Older animals or those 12 years old or with particular health needs (i.e pregnant) must never leave their home without a vet health certificate issued by your vet, stating that they are fit-for-flight. Pregnant pets should be given a proof that they will not give birth mid-air. These documents – i.e. copies of current medical and vaccination records - will also be needed by the airline personnel for boarding your pet. Same as you, there will be documents specific to your pet that you need to bring when travelling with them. This paperwork needs to be organized ahead of time, as airline and accommodation companies need these files for documentation and compliance purposes. Even if you are just traveling by road and crossing state lines, you may still need documentation including a health certificate issued by your vet, which is valid for 30 days (for example, it’s an offence to cross a state line in the USA without one). In her excellent blog, Dr. Jennifer Coates makes the point that "The requirement for a health certificate is aimed at preventing the spread of disease between animals or from animals to people." Some of the common types of documentation required include vaccination permit, IATA shipper’s certification, permits and quarantine provisions, and transit health certificates. Your pet's comfort should be your top priority when planning trips with your furry companion. Traveling during the summer or midday may not be the best option, since the heat can stress them out. Winter or late flights in the cold should also be avoided to keep your pets comfortable aboard the aircraft. It also helps to train your cat or dog ahead of time to keep them at ease throughout the trip. Not all pets are born nomads, as some gets easily stressed out when placed in an unfamiliar setting. Seek your vet’s advice on how to train and keep your pet calm during a trip. Even if you have pet insurance, is it valid for the destination your’e travelling to? Before you travel make sure to read the small print and check for policy restrictions. Airlines have different strict rules when it comes to transporting pets by air. While it varies from airline to airline, there are typical policies that are common, especially when it comes to what they do not allow on-board. One resource about holiday pet planning mentioned that young (typically dogs must be at least eight weeks old and fully weaned) or pregnant pets usually are not allowed to travel. Other animals apart from dogs and cats are not permitted on board, including cages that go beyond the allowed weight and height requirement. The same guide cited that “Many airlines do not allow breeds like the Brazilian Fila, Japanese Tosa, Dogo Argentino, American Pit Bull, American Staffordshire Terrier and Pit Bull Terrier." 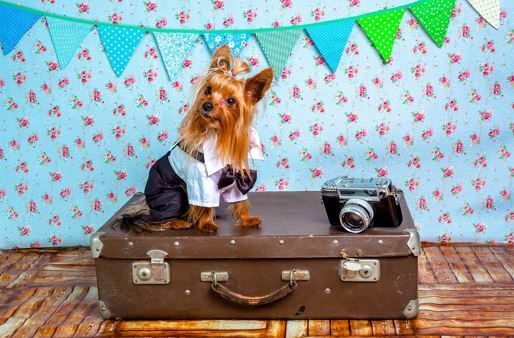 With so many do's and dont's, it’s really important to plan ahead and know whether your furry companion can come with you on a flight before booking anything. Pets need a break or vacation, too. However, pet owners need to be mindful of important things they need to bring and prepare for their pets to ensure that their furry travel companion is safe, secure and fit to take this journey.